Aerobility is pleased to be attending the Disability Forum's Disability Awareness Day. We've already met the Mayor and are looking forward to a busy day! Geri and Andrea by the stall! 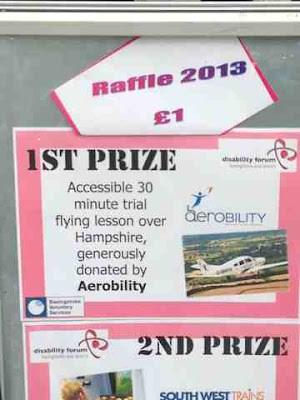 We've donated a trial flight to the raffle - so come down and take part for your chance to take to the skies! A trial flight up for grabs! 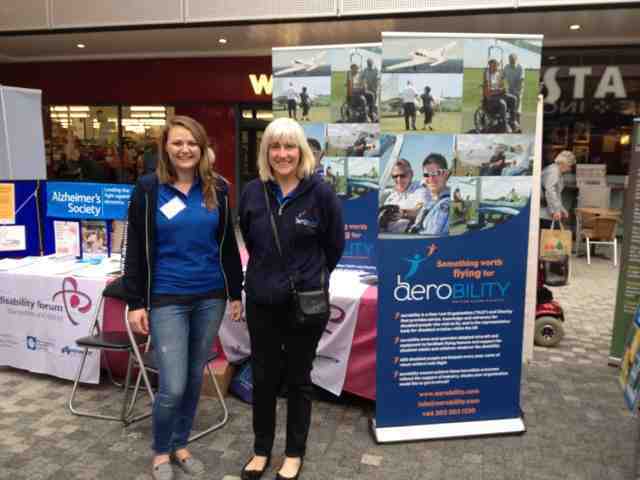 You'll find us in The Malls in Basingstoke - just between Primark and Boots!